Click Next, and then click Finish to exit the wizard. If vCenter Servers underlying VMware vCloud Director are already added to the backup infrastructure, they will not be added for the second time. 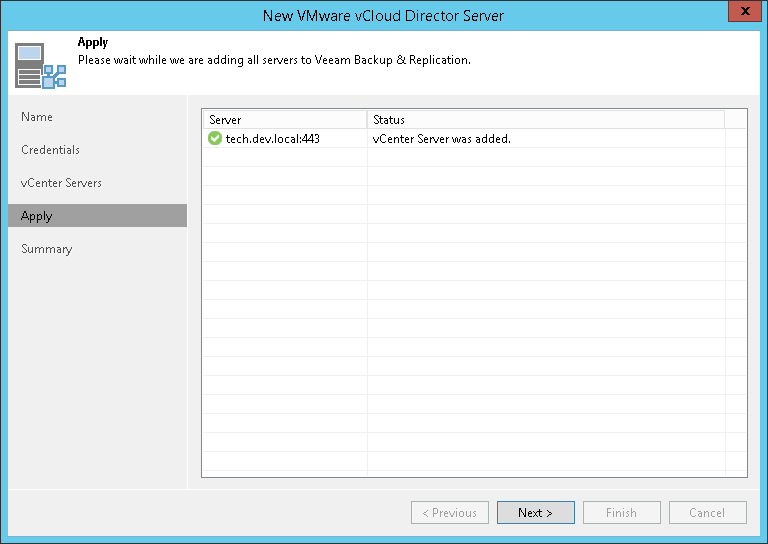 Veeam Backup & Replication will create associations with the vCenter Servers and display them in the VMware vCloud Director hierarchy.